Bullied: "We're Human Beings; We Deserve Respect"
A new documentary, Bullied, could not be more timely: in the wake of several gay students' suicides, it follows one boy, but could help many. 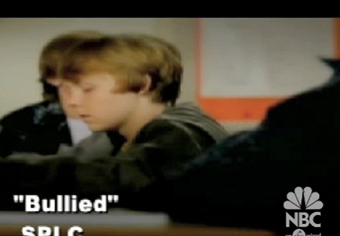 The filmmakers intended Bullied as a teaching tool for schools; the documentary is free to educators. We hope plenty are taking advantage.